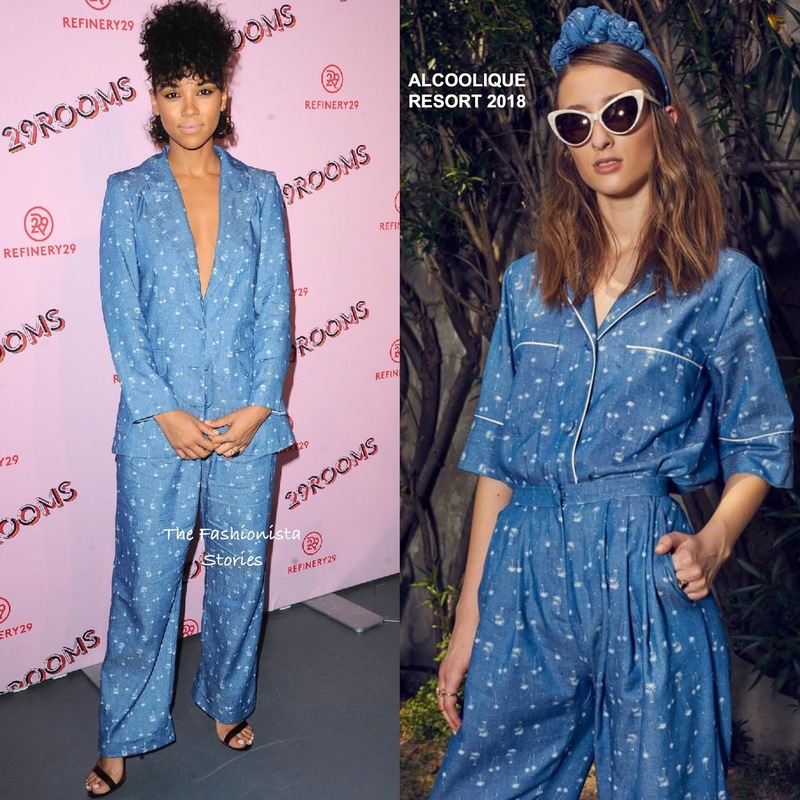 We don't always see Alexandra Shipp on the carpet but the actress was on hand for the Refinery29 29Rooms Los Angeles: Turn It Into Art Opening Night Party last night(December 6th) at ROW DTLA in LA. For the occasion, she wore a ALCOOLIQUE RESORT 2018 denim blue & white printed blazer and the matching white leg trousers with side pockets. Alexandra went braless under her blazer which added a flirty touch to her masculine inspired look. Instead of wearing a red colored lip, she opted for a pink matte pout which was offset with a yellow eyeshadow. LORIBLU sandals and a curly mohawk finished up her look.